So I had the genius idea of attempting a run of Red using only one pokemon which only knows metronome. I thought it would be fun to try. ...only didn't get very far. I chose Clefable as a pokemon because it's available so early. Both Bulbapedia and Serebii agree that Clefable learns Metronome at Level 1 in Gen 1. So I caught a Clefairy in Mt Moon and immediately evolved it using the one moon stone you get early on. It didn't learn Metronome. So I leveled it up by one level, but it still refused to learn anything. Any of you pokemon experts have any ideas? I'd appreciate your help! 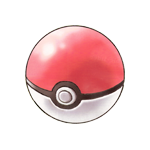 Also: is there an alternative option of a metronome pokemon to use? And have any of you ever tried this challenge? I'm not sure how any of the level 1 moves work, but Clefairy is listed to learn Metronome at level 31. Considering Clefable only has four moves on it's learnset I would have thought it would learn Metronome upon evolving. Seems you will have to train it up to level 31 or get the TM35 in Pokémon Lab on Cinnabar Island. I also haven't tried this challenge before.